The U.S. Army Corps of Engineers reported Wednesday that if Irma produces eight to 10 inches of rainfall as a Category 3 Hurricane, the region around the dike will face a “low risk” of flooding. Speaking at a press conference in Hialeah, Scott said government officials have taken precautionary action to lower water levels in the lake and in the surrounding canals. The lake water level, now 13.6 feet, previously has risen to 18 feet “without anything happening,” the governor said. Inspections of the aging Herbert Hoover Dike are ongoing, he said, and the Army Corps of Engineers will intensify its inspections of the dike if the lake water level rises to 17 feet. 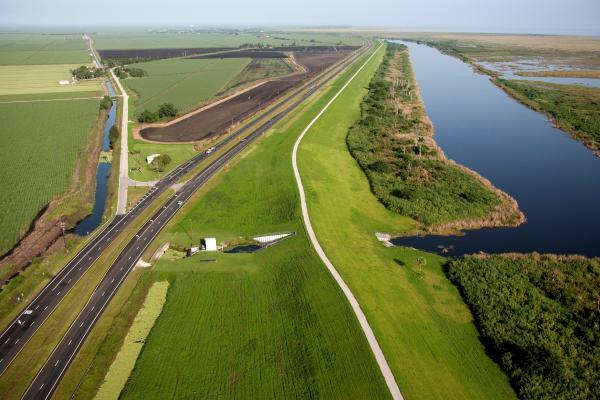 To keep the water level down, the Army Corps of Engineers discharged water into estuaries east and west of Lake Okeechobee from Tuesday through Friday. Laureen Borachaner, chief of engineering for the Army Corps of Engineers, said in a conference call with journalists that for every foot of rain that falls on surrounding communities, the lake gradually will rise to three feet.